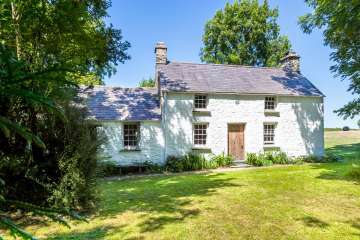 A traditional West Wales cottage newly renovated with sustainability in mind, Nant-y-Bargoed enjoys a peaceful position on a dead-end lane in a quiet and secluded wooded valley. Lovely countryside all about and easy access to the beaches on the coast. 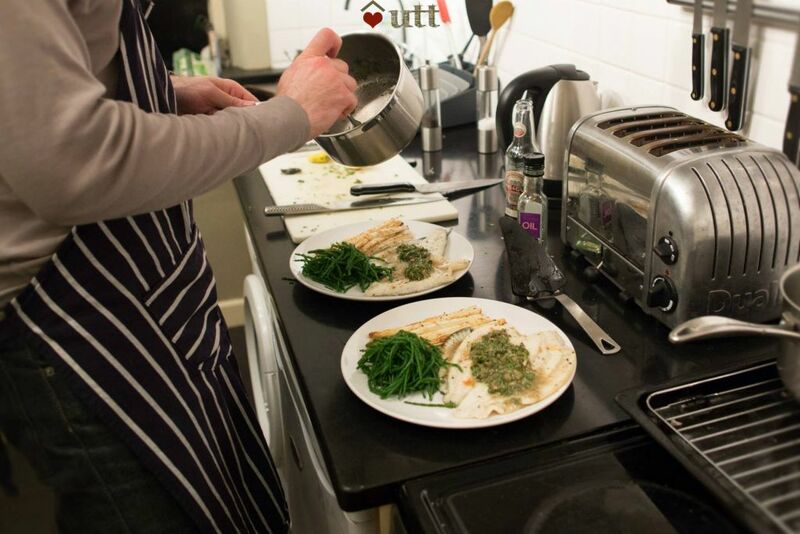 Renowned independent blogger Hattie Garlick said this was her best ever UK holiday! 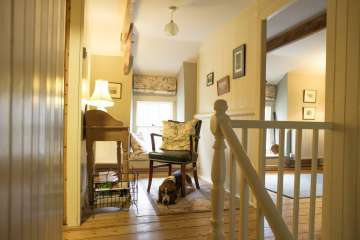 A stream runs to the front, and there is good country walking from the door: a very dog friendly cottage. 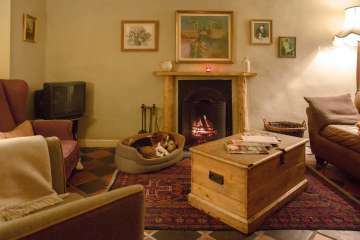 The interior is comfortable, with under-floor heating via a biomass boiler, a very efficient woodburner, and an open fire. Open-plan sitting room & dining with open fire, TV & DVD player (NB no TV reception here), woodburner, Bose docking station, dog basket & large dog crate (bring pet bedding). Please note there is no WiFi. 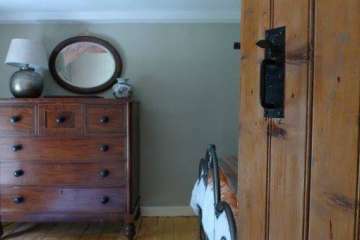 Bedroom 2 - Single, but has a pull-out second bed (proper mattress), note room restricted if both used but can use second bed on landing if prefer. Kayaking/canoeing & lessons -12 min. 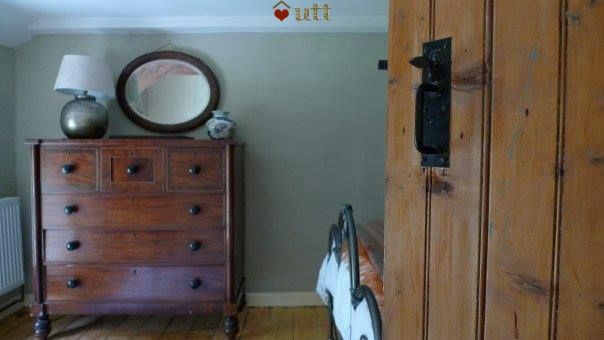 This is our third stay in this particular UTT property. 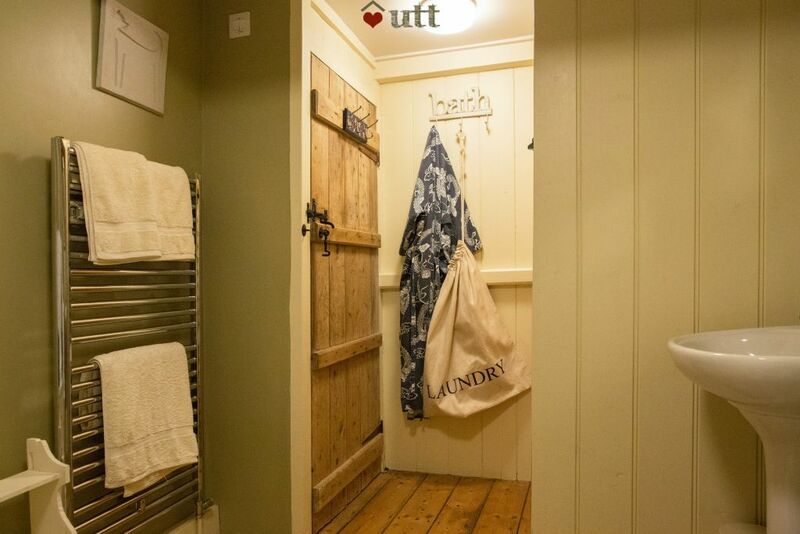 We have stayed in many UTT properties over the years, but find we come back to this one. The peace, quiet and freedom from technology is heavenly. 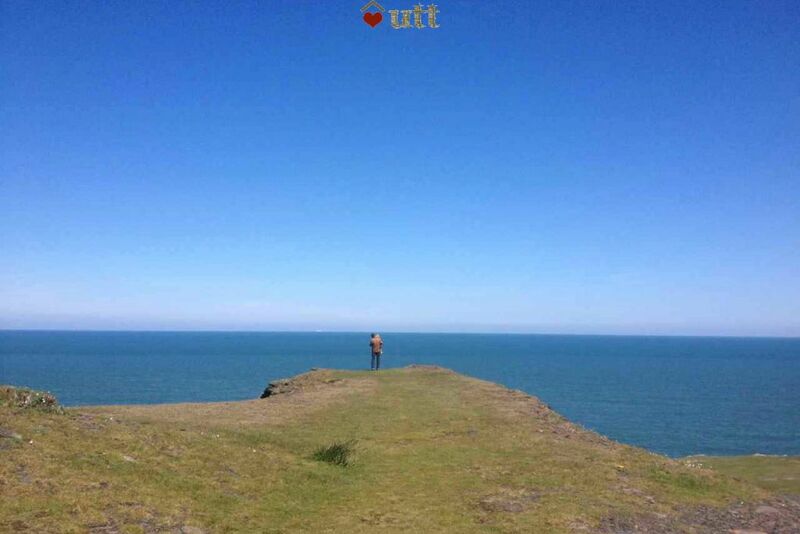 The location is fantastic with a lot of great coastal walks and places to visit. We will be back again soon when we once again need to recharge. 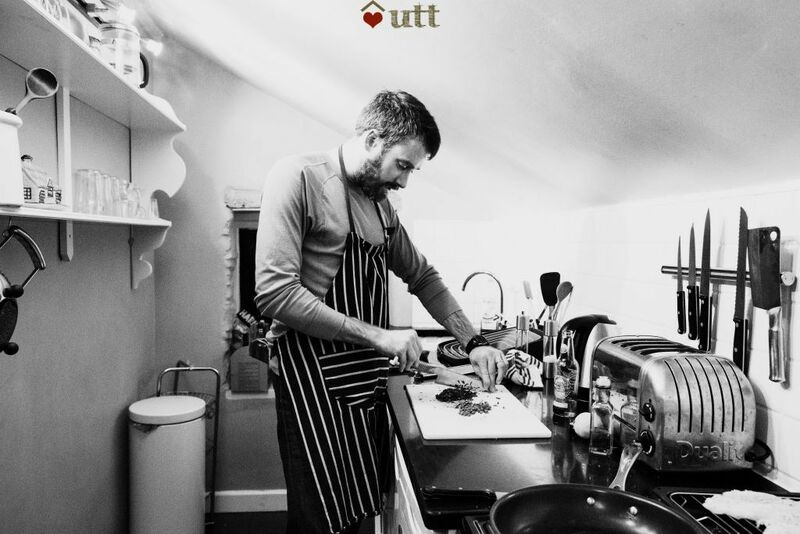 Thank you for another great UTT stay. 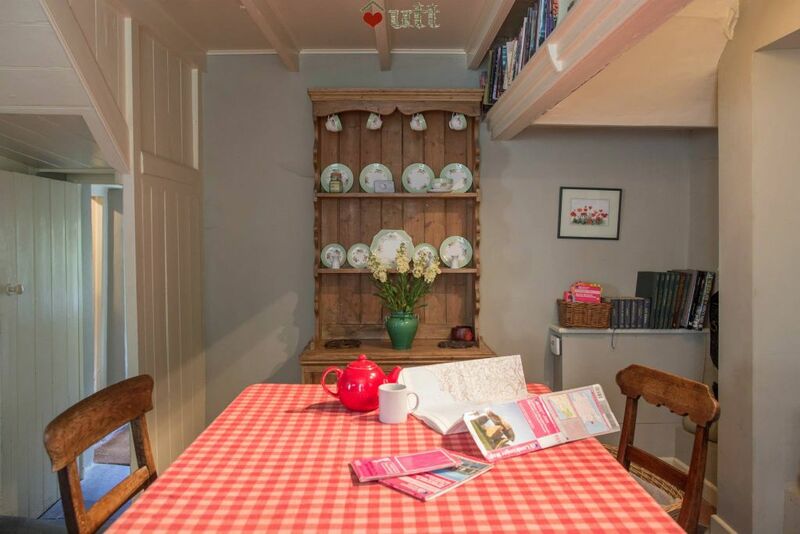 Lovely cottage - very cosy with homely decorations and a huge pile of books and dvds. 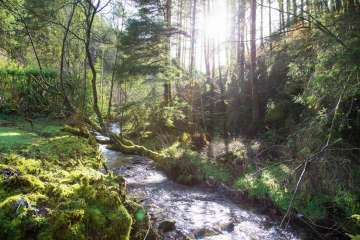 Evenings off grid reading were so restful - the stream at the bottom of the garden is gorgeous to wake to the sound of. 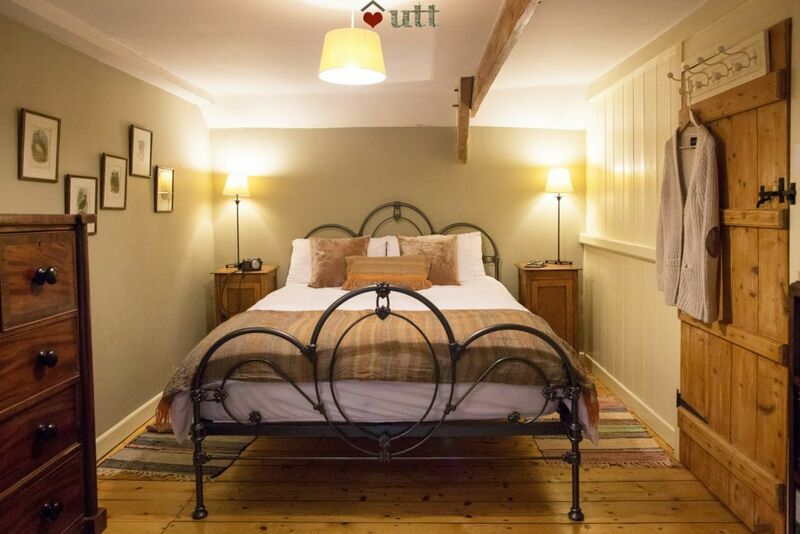 We’d thoroughly recommend this cottage if you’re looking to rest and recharge batteries. Very very comfy bed! After a busy year, this was our first holiday! 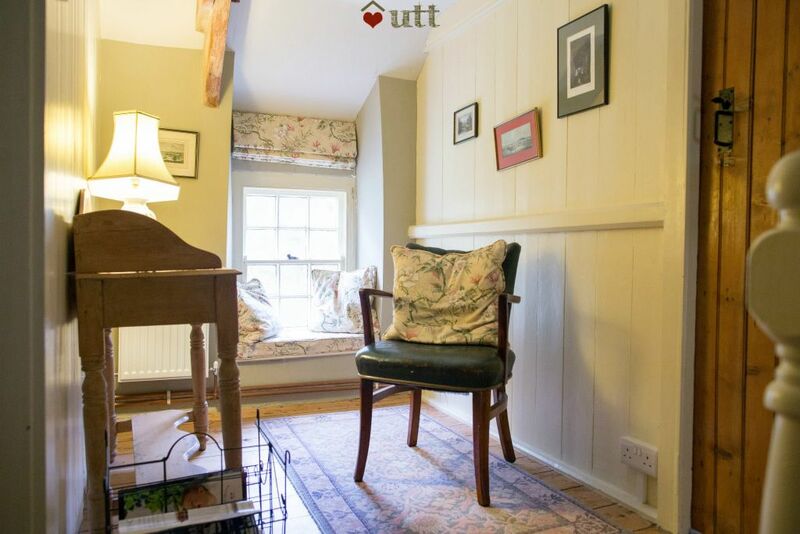 What utter bliss it was - a pretty, comfortable and cosy cottage. The setting was perfect - the stars were so bright each evening to gaze at and then awake to the sound of the stream opposite. 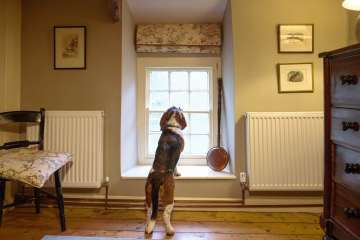 We have had the most relaxing time idling the days in quiet and countryside, it was just what we needed! Our dog dude appreciated the daily walks at nearby beaches and dips in the stream. A lovely house in a lovely secluded setting. Very peaceful and nice walking straight from the door. It’s a shame that the local pub was closed during our visit but we did drive to Llangrannog and had a lovely meal at The Ship inn. 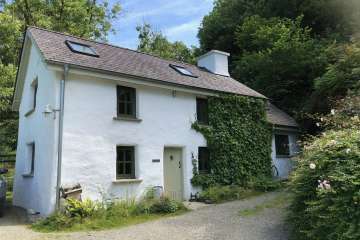 Would recommend this cottage for those wanting to chill and read and enjoy the seclusion. 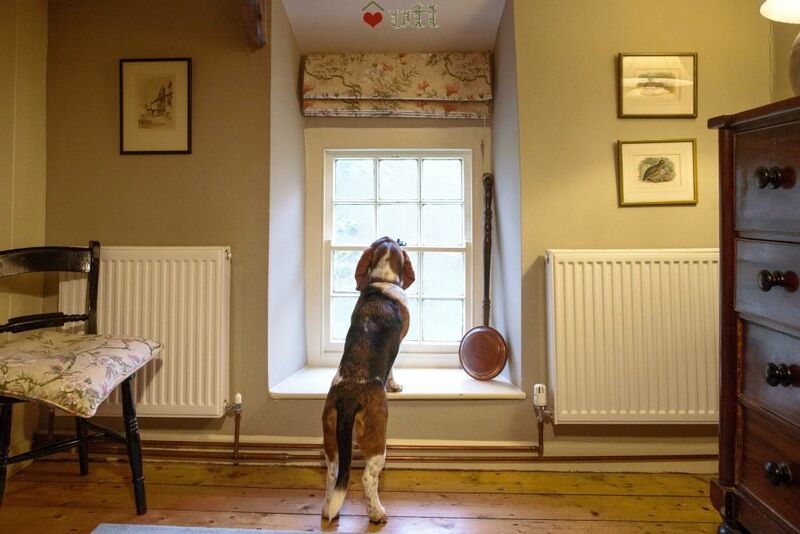 We have rarely stayed in such a dog friendly property on our travels. In fact we all immediately felt at home. 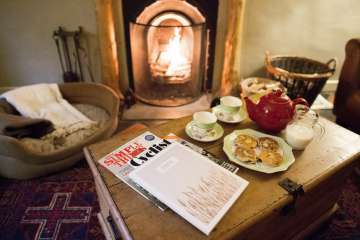 Well equipped property with enough books and DVDs to keep you occupied even if the weather is bad. 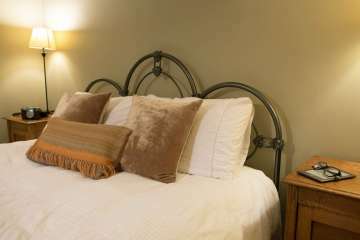 The owners have done a fantastic job of ensuring you have a really relaxed stay. No wi-fi? No mobile signal? Absolute bliss!! Now we are home, we cannot wait to return to this oasis away from the world. We had a perfect week at Nant-y-Bargoed. Long walks without a soul to be seen. Sunny afternoons reading books in the sunshine, glass of wine to hand. Night time star gazing. And even an adventurous cross-county run in the rain. Above all, slept like a baby. We shall visit again soon. A very special place indeed. 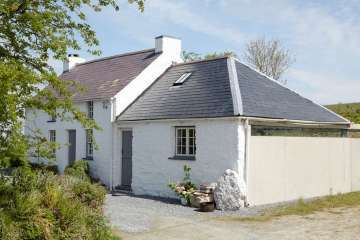 A lovely cottage, which was lovely and clean on arrival, in the most idyllic setting. This really is the place to go if you want to get away from it all. What a hidden gem! Situated well away from any roads, the quiet location is perfect! No internet or tv means a totally relaxing holiday, walking, reading, playing games, and listening to music. Only half an hour to the nearest beach for the dogs, and other gorgeous little villages, such as Aberport and New Quay. We will definitely be back!! 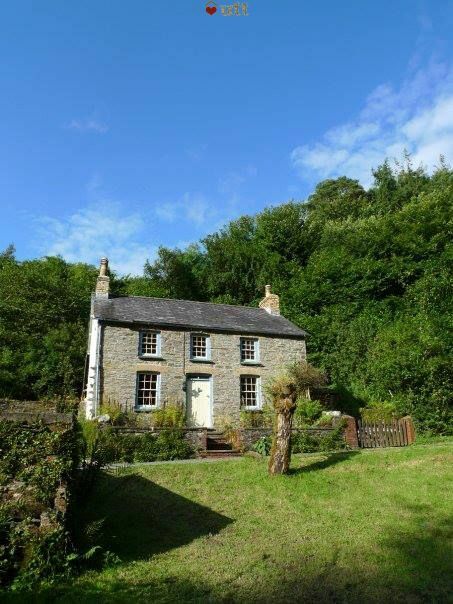 Beautiful cottage and secluded location. Recommended. 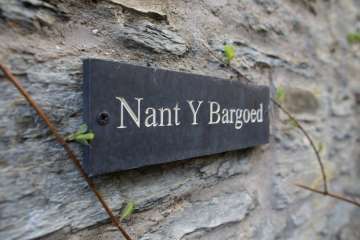 Our stay at the Nant-y-Bargoed cottage was everything we'd hoped for, even if the snow threatened to jeopardise the trip. We made it and soaked up the warmth of the under-floor heating and the beautifully warm bedroom and bathroom.The snow was still lying on the grass opposite reminding us it was very cold outside but we just lit the fire, managed to find Classic FM on the radio, played games from the big chest, read and just totally relaxed. It was a soothing break away, if you ignored the builders' vans whipping by on their way up the hill! but what a beautiful setting to be based in. We loved the drifts of snowdrops in the wood above the stream and the daffodils in the garden, and wow! the stars at night were breathtaking. We'd love to go back there - perhaps later on in the season when the trees are in foliage and more wildlife to be seen, although we did enjoy the overhead circling of four buzzards one morning and the visiting wren. Lovely memories..
Nant Y Bargoed is a wonderful cottage in all respects, warm, cosy well appointed with fun and interesting things new and old and even filled with games and books to fill the time on rainy days, we loved it in every way and couldn't recommend it more highly and will certainly want to return - thank you! 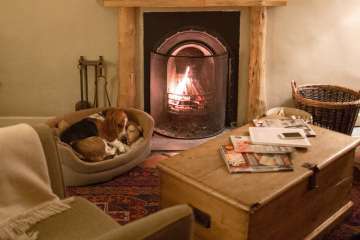 We have just got back from a lovely few days in the cottage, it is very cosy, quiet. 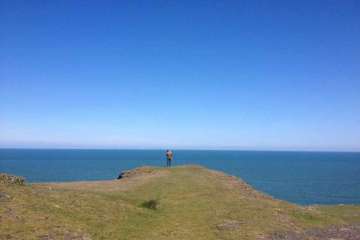 We enjoyed walks from the cottage and ventured further afield to the Pembrokeshire coast with the dogs. It is a great place to have a complete break from the rat race! We loved staying here! The cottage is in a very quiet spot, with the sound of the stream a constant and relaxing background. 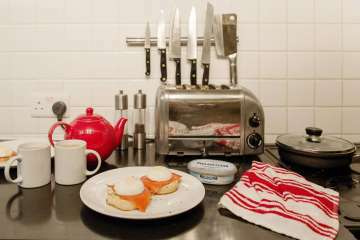 Everything was well equipped and comfortable with exceptionally hot water and cosy heating. We would have very much liked to stay longer. 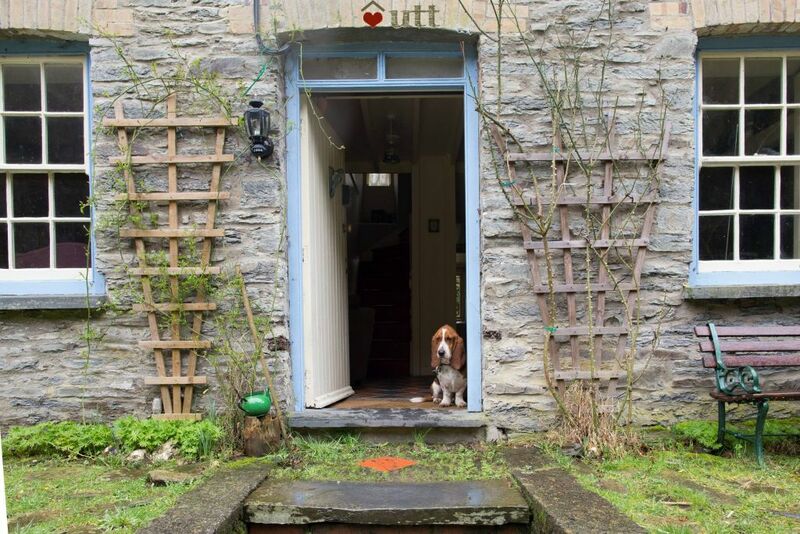 We had a lovely holiday at nant-y-bargoed. 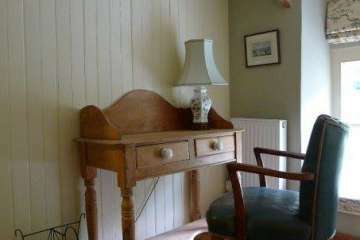 The cottage was so comfortable and it was amazing not having internet or phone signal. 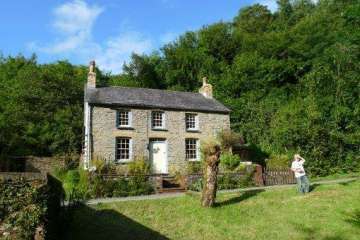 The surroundings of the cottage were lovely and had many enjoyable walks around the area of the property. Great family get-away!!! If you would like your kids to get off their computers and spend time with you then this is the place, we had many great games of hide and seek!! We would definitely come back. If a secluded, getting away from it all holiday is what you are after.... this is your place! The location is lovely, so peaceful apart from the odd passing tractor. The actual cottage was lovely. Full of lots of things to look at, games to play, DVDs to watch and books to read. We found the nature and wildlife books brilliant for learning more about what was around the cottage. The kitchen is fully equipped for your cooking needs with a lovely big table in the dining room for the family to sit around and eat together. Recycling is very important here, which is great. 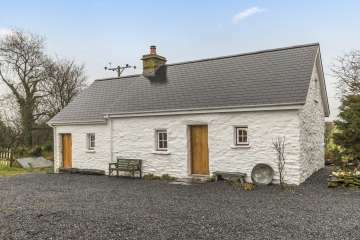 I would certainly recommend this cottage to anyone needing a break from technology and the hustle and bustle of the modern world. The pub is a short walk away, but take a torch. The landlord is friendly and the food was outstanding. 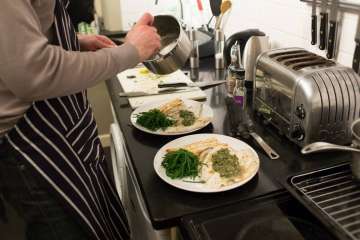 Perfect for a hungry walker after lots of fresh country air. This was our 4th under the thatch break and as with the others it did not disappoint. 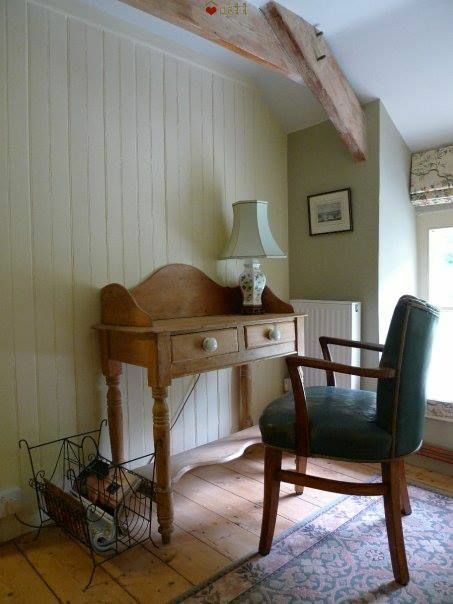 In fact this cottage was the best yet. 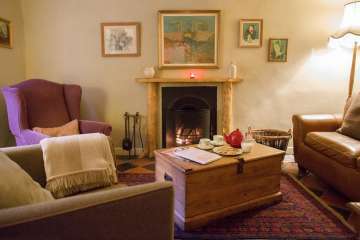 Cosy warm and just what the doctor ordered for our relaxing new year break with lovely local walks and beaches near by. We look forward to booking our next holiday soon. 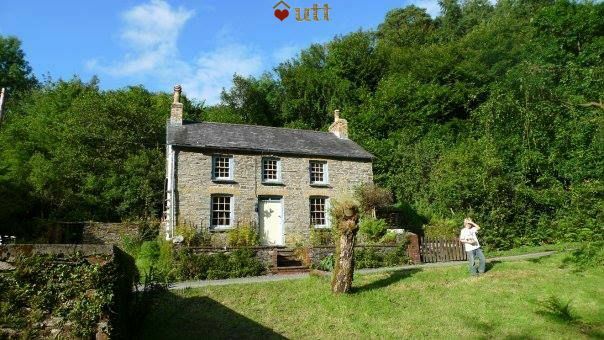 Nant-y-Bargoed is a wonderful cottage in a wooded, secluded, and very peaceful valley. 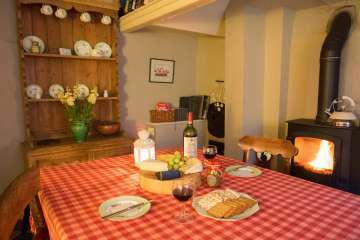 It is beautifully decorated, well equipped and comfortable, and has a welcoming feel to it. No internet or tv reception means that you can lose yourself in the eclectic collection of books at the cottage, or watch the fabulous Merlin dvd. Our favourite day out was along the Teifi valley towards the Black Mountains, with lunch at Wrights Food Emporium, and a walk at Carreg Cennen Castle. A very lovely and relaxing place to stay. 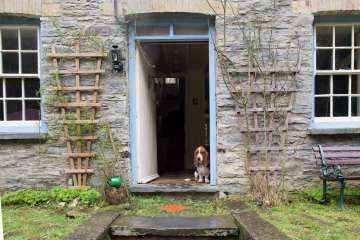 We are just back from a very, very happy stay at Nant-y-Bargoed. 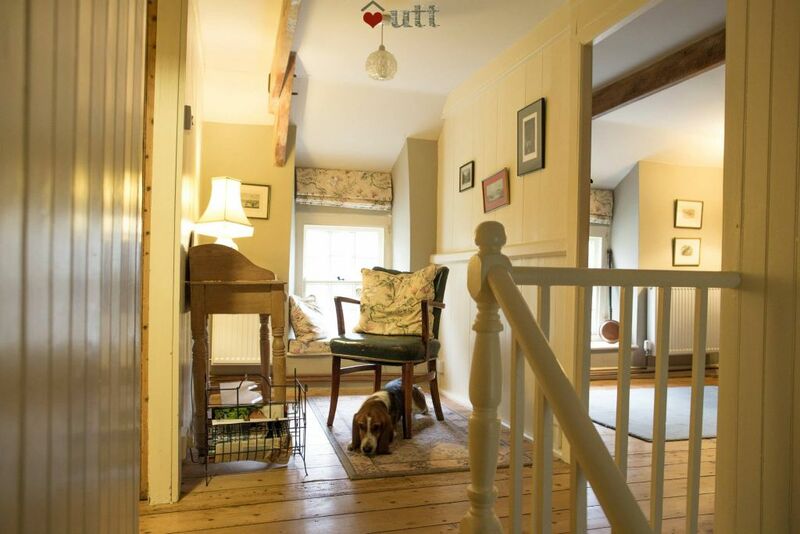 The cottage is so sweet and comfortable in an amazingly peaceful location. It is so peaceful and the owners have out some really thoughtful touches in the cottage such as a large dog basket in case you forget your four legged friends' bed. Heads up that there is no phone, Internet or tv signal. There is some discussion in the visitors book about spots you can one or two bars of phone signal but my top tip is don't bother! Embrace being cut off the world and enjoy the birds and the streams and each other. We played a lot of Yahtzee for the games chest! 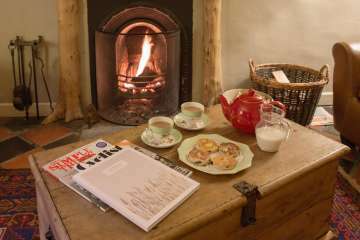 There is loads to do in the area - Caws Cenarth would be my top recommendation - or you can just read but the fire. 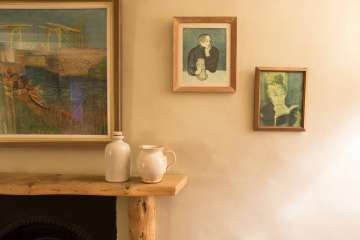 It's a cottage that will draw you in and make you feel immediately at home. A really special place to stay, with a stream running outside the door and a beautiful walk up a long quiet lane right outside the front door. 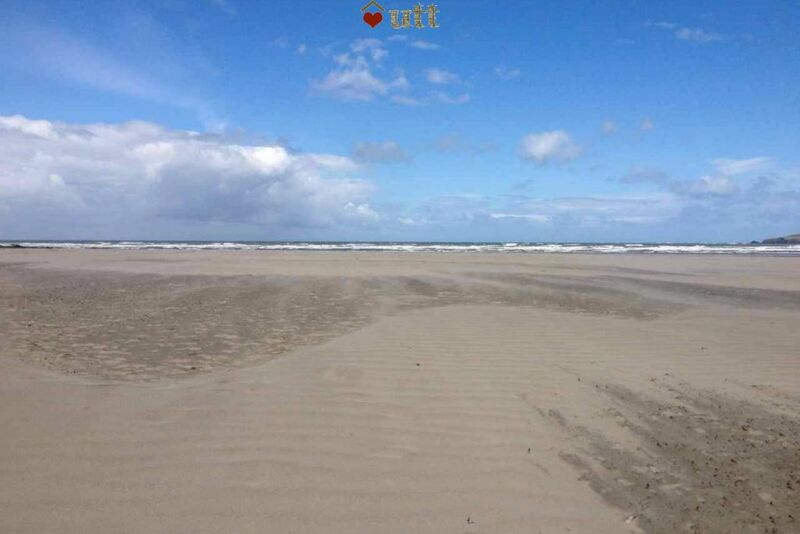 Lots of beaches within a reasonable drive (not on the doorstep but not too far away). The approach felt a little unpromising as the closest village hasn't got much going for it, but as soon as you drive down to the cottage you enter a lovely rural setting. We are definitely going to return. We had a wonderful time at the cottage which is beautifully decorated and very comfortable - plenty of hot water and toasty under-floor heating. Perfect for family gatherings and r&r, I hope to return again with other members of my family. 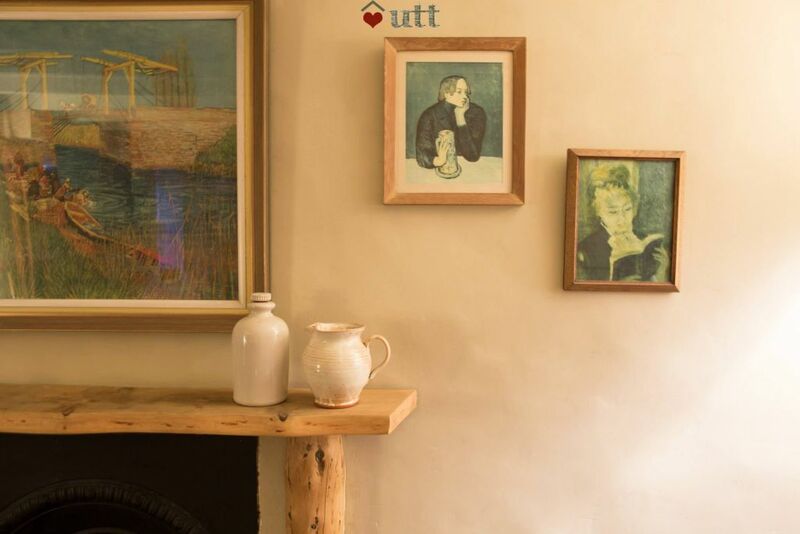 We arrived at this lovely cottage and it was just as we had hoped. Secluded and peaceful the accommodation was beautiful and we thoroughly enjoyed our stay here we only wish it could have been longer. 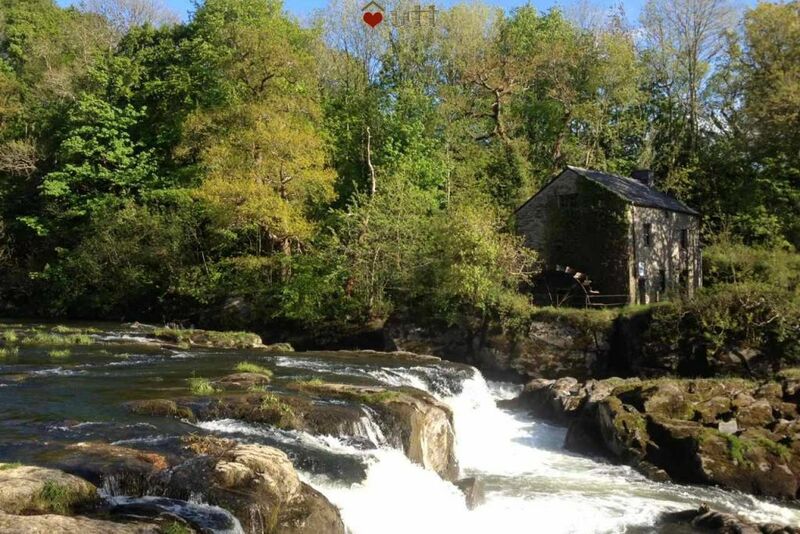 A beautiful location for our Welsh retreat, cosy and away from the hubbub of the world. You need a car to explore the beaches and get supplies but well worth the trip. Lovely location off the beaten track - conveniently for a number of towns, beaches &c. Lovely accommodation - clean, comfortable and quaint. Great value. 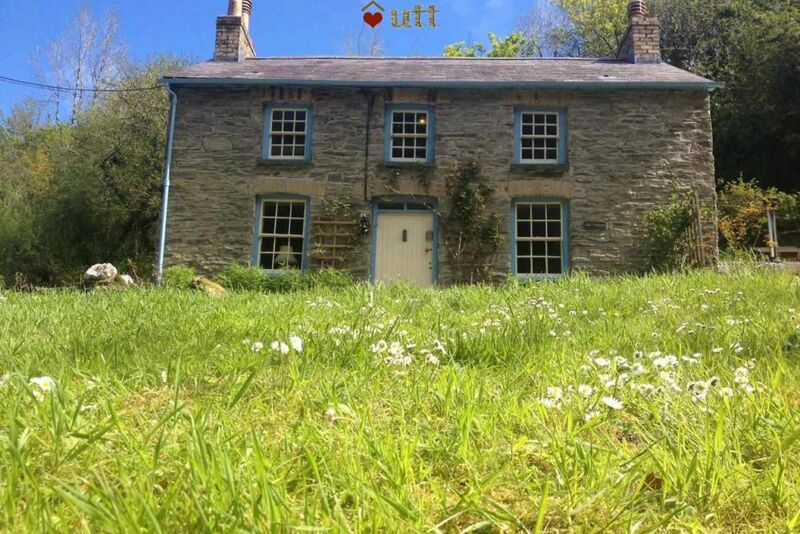 Nant-y-Bargoed is a perfect retreat in a magical, peaceful setting. 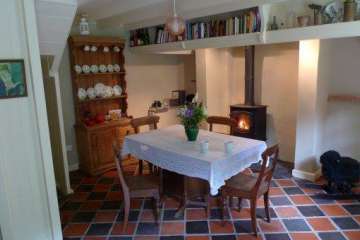 The cottage is cosy and charming and sits in a very quiet valley, although it is within easy reach of the main road. The beaches, which are a short drive away, are spectacular and there are many opportunities for walking nearby. 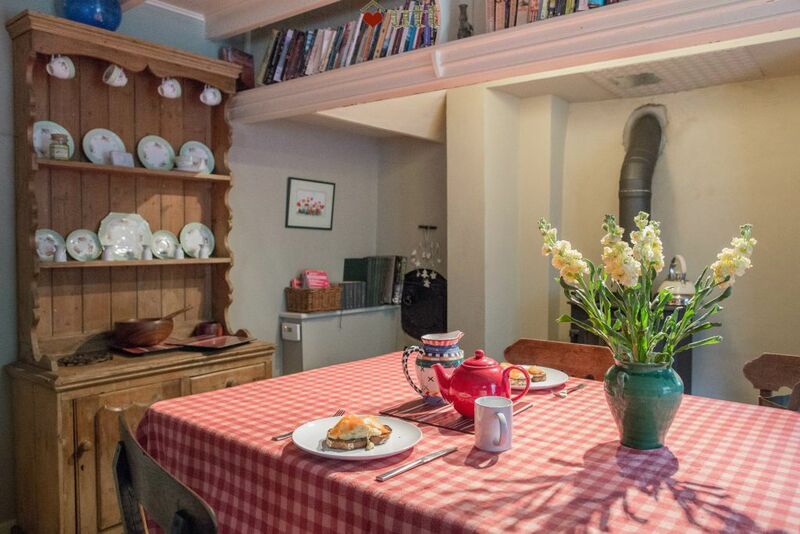 Great cottage with loads of character. Very peaceful location though you do get the odd car driving past. We just used the main bedroom which has a very comfortable bed. The cottage was warm with lots of hot water and underfloor heating downstairs. We found little of interest in the immediate vicinity but maybe that was down to our lack of planning. 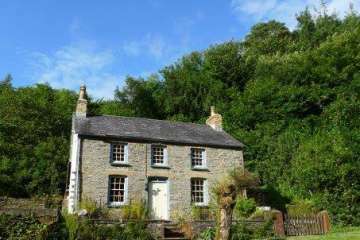 Nang-Y-Bargoed is a very sweet, well appointed cottage opposite a stream. The house is stocked with everything you would need (detergent, board games, DVDs, kitchen utensils) and it is truly charming. 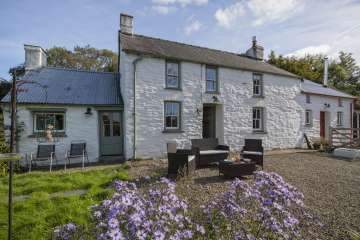 We had a great time at Nant y Bargoed, the cottage is in a lovely peaceful location and the sound of the stream outside is idyllic. Our dog Alfie loved playing in the garden and getting cosy by the fire at night. The local beaches poppit sands and Aberporth are lovely little sun traps and also dog friendly but to be honest the best place to be is in the garden with the bbq going and a glass of wine. We had a very cosy mid-winter getaway in this romantic cottage. The seclusion and beauty of the location combine to make you feel that 'real life' is a million miles away. We highly recommend this cottage. 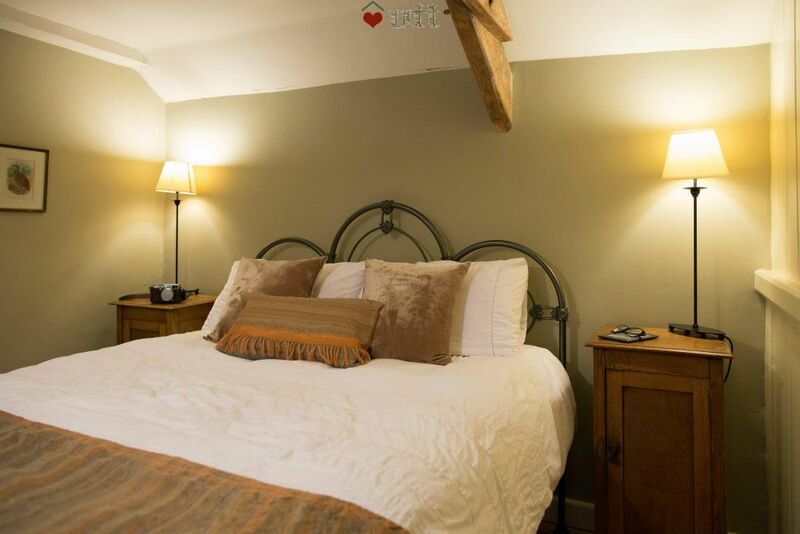 Booked this for my parents anniversary, they had an amazing time and have let me know they would love to come back again! 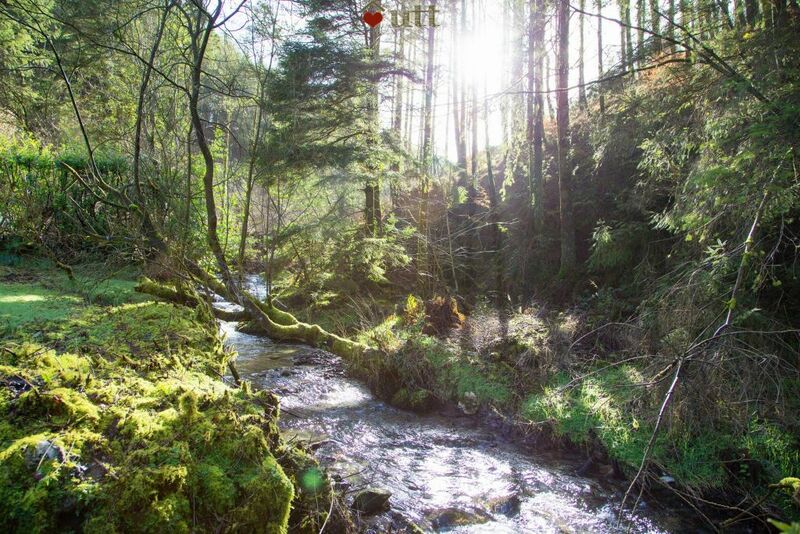 If you are looking for a quiet break surrounded by nature then this is the place to be ! 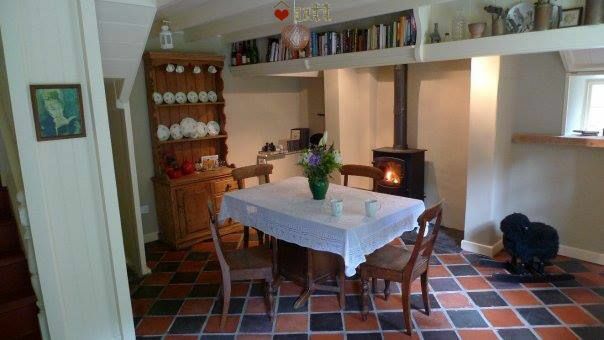 Very nice, clean, cosy cottage with open wood fire.. Dogs love walking the hills and beautiful stream... Really enjoyed ourselves and will definitely return.